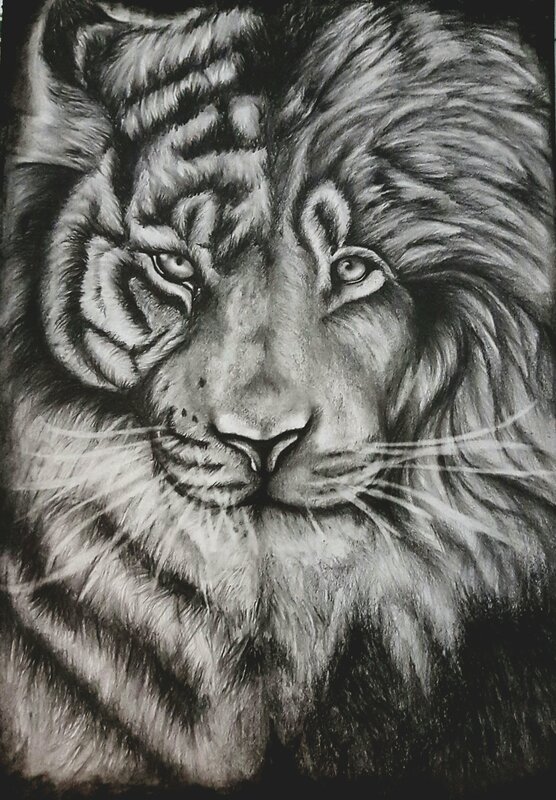 Artist Forum > Drawing > Graphite Drawing > It's a Lion... It's a Tiger... It's both! It's a Lion... It's a Tiger... It's both! It's a liger! Actually it is quite beautiful. Very unique, I love the shading and the textures you used to make it really pop out. Being blind did not stop Beethoven from making awesome music. Being partially Colorblind will not stop me from making art. Awesome work. I love the texture and details of the fur.